We’ve got a lot planned for 2014. You’ll see us expand our position as the leading one-stop shop for essential IT services for SMBs and the partners who serve them. We took an internal poll. Of the hundreds of individual milestones and successes we’re excited about, here are 2013’s top seven events. In 2013, we decided that there was only one way to build on the explosive growth of our voice business. 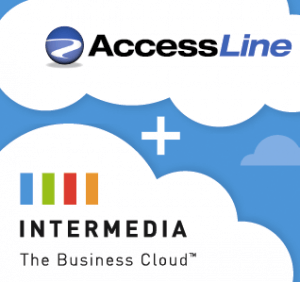 With our acquisition of AccessLine in August, we now offer a cloud phone system, conferencing services, individual voice services such as 800 numbers, Internet faxing and SIP Trunking. What does this mean for customers? It means that with just one phone call to just one vendor, you can get email, phones, chat, file sync and share, security and mobility, and more—all with only one bill, one control panel, one login and one source of support. Read a note about this acquisition from our CEO. If a company doesn’t provide employees with a file sync and share service, the employees usually go out and deploy it on their own. This makes employees happy, but it creates big security risks—because if IT doesn’t know who is using what software, how can they enforce policies? We solved this problem by building SecuriSync, our new business-grade file collaboration service. SecuriSync gives users the simplicity and mobility employees want with the control and security features the business requires. And the response has been tremendous—so much so that since we formally launched it, we’ve delighted our customers by adding often-requested features such as audit logs and selective syncing. To learn more, watch our 70-second video at SecuriSync.com. Intermedia’s Email Archiving service makes it easy to deal with two of today’s growing challenges: the rising volume of email, and all the new laws and regulations that require you to save communications for years and years. 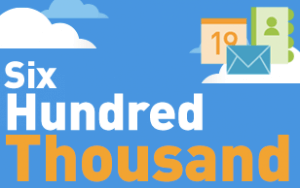 We launched Email Archiving in April with high expectations, and we quickly exceeded them: Email Archiving is our fastest-selling email add-on to date. Explore our Email Archiving service. 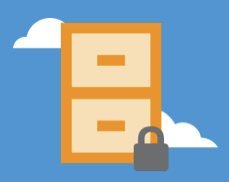 SaaSID provides organizations with a single point of control over employees’ access to cloud services and applications, minimizing the risk of unauthorized access to sensitive data. We acquired them in September. Stay tuned for big news in early 2014. 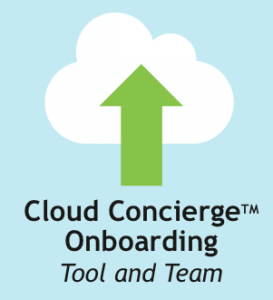 The new features and functionality we’ll be launching will give your users and admins a single point of access and control for ALL their cloud services—not just those from Intermedia, but Salesforce, Workday, QuickBooks, and hundreds of others as well. Read a note about this acquisition at SaaSID.com. 5) We reached our 600,000th Exchange mailbox under management. In May, we hit 600,000 premium Exchange mailboxes. And while we were already the largest third-party Exchange provider in the world, this milestone put us far ahead of every other hoster. Our partner channel is a hugely important part of our business. That’s why, in 2013, we significantly enhanced our Partner Program to make it even easier for partners to succeed with our services. 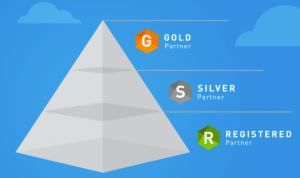 Among the highlights of this program is our new Partner Sales Portal—which centralizes all the tools a partner needs to build high-margin, recurring revenue around a broad suite of cloud services. Gartner named us a “Visionary” in the Magic Quadrant for Unified Communications as a Service, North America. For us, this is a sign that the market is acknowledging our leadership and expertise. Read Gartner’s report. Our 2013 Small + Medium Business Mobile Trends Report surprised industry watchers with the news that 76% devices activated on Intermedia’s network in the first 10 months of 2013 were from Apple. Read our report. Now that 2013’s behind us, we’re looking forward to an even better 2014. We’ve got an exciting roadmap of products and features coming you’re way, including our new SaasID service. 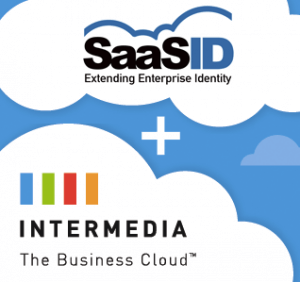 And you can continue to rely on Intermedia to be the on-ramp for access to—and management over—your entire business cloud experience. Partner news: Intermedia’s Bob Leibholz named to Channel Partners’ 2013 Circle of Excellence!